Jack Daniel’s Tennessee whiskey is the most popular brand of whiskey in the world. It can be found in almost any bar and nearly every bartender knows what you want when you ask for a Jack and coke. I can make those statements with full confidence they are true. Not only is it the most popular, but it is also the oldest distillery in the United States. 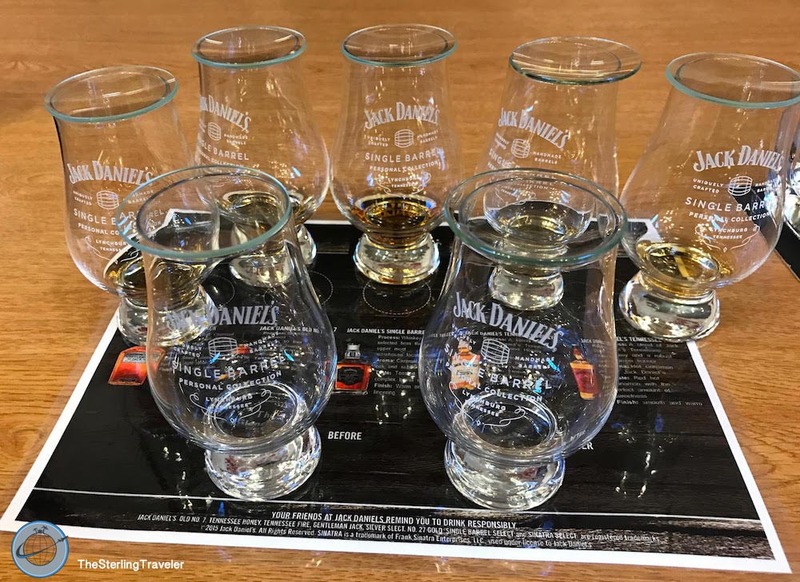 I am a big fan of all varieties of whiskey, but Jack Daniel’s Old No. 7 whiskey is one of my “go tos”. 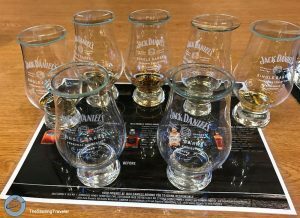 When I had the opportunity to take a tour of Jack Daniel’s distillery as part of going to TBEX (a travel bloggers conference), I didn’t hesitate to say yes! 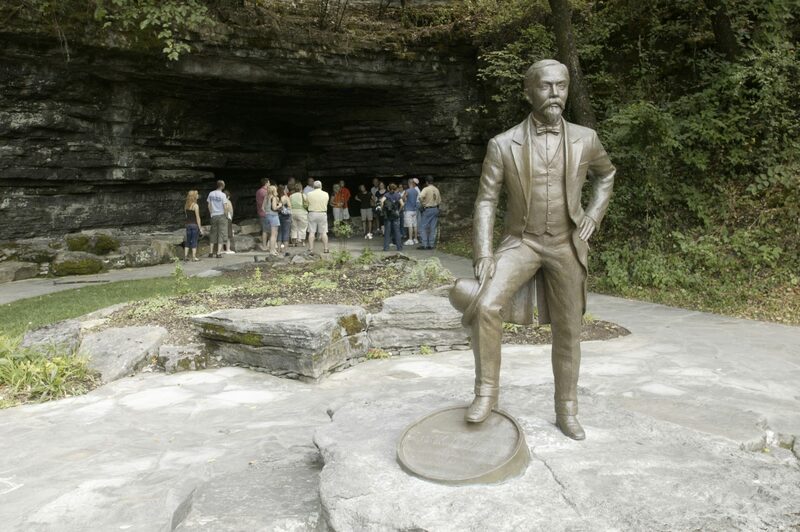 There are several mysteries surrounding Jack Daniel’s birth and death. Some stories told on the tour may be tall tales, but aren’t acknowledged as being so on the tour. I’ll accept them as canon and only tell the tales I was told. It is up to you to decide otherwise. Jack Daniel was born around 1850. It is widely known, and an accepted fact, that his mother died shortly after his death. The cause of death was likely a birth complication, which wasn’t uncommon at that time. The tombstones of Jack and his mother would indicate that she passed before he was born. Quite odd if you ask me! There was a fire that burned all of the courthouse records so the truth may never be known. One day, Jack decided to go to work early and tried to open the safe. 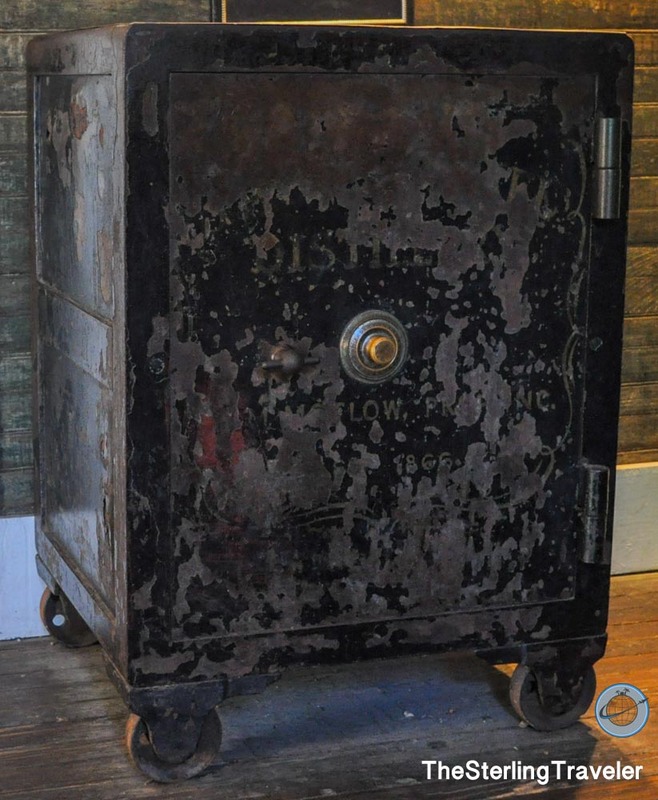 Not remembering the combination, he kicked the safe out of frustration which broke his toe. He was a stubborn man so he didn’t go to a doctor. The toe became infected which spread and ultimately Jack had most of his leg amputated. Jack died shortly thereafter most likely from infection/blood poisoning. The only building, on the property, that was usable after prohibition is Jack’s office. That safe is still there. 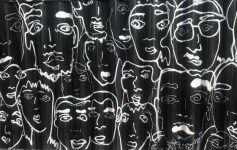 Today it is empty. They don’t want someone forgetting the combination and kicking the safe again… we all know how that ends. Our first stop was at the rickyard. 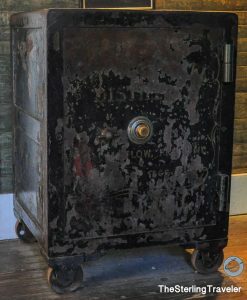 Ricks are cords of sugar maple wood which are then burned (using whiskey at a fire starter, of course) to make charcoal. The charcoal is used later on in the process which we learned about later in the tour. The water source that is used comes from a limestone cave spring. It is noticeably cooler as you get closer to the cave. The water is a cold 53-56 degrees. 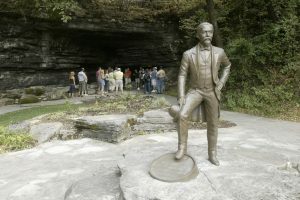 Close by is a statue of Jack Daniel standing on a rock. Jack on the Rocks depicts Jack roughly 7 inches taller than his 5’2” stature. The tour then went to view the fermenting vats, the stills, and the charcoal mellowing vats. After prohibition, the federal government almost forced Jack Daniel’s to be labeled as bourbon. 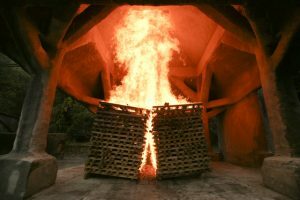 The distillery told the government that they charcoal mellow the whiskey and to taste the difference. Obviously, the government agreed. To this day, Tennessee whiskey must be charcoal mellowed. 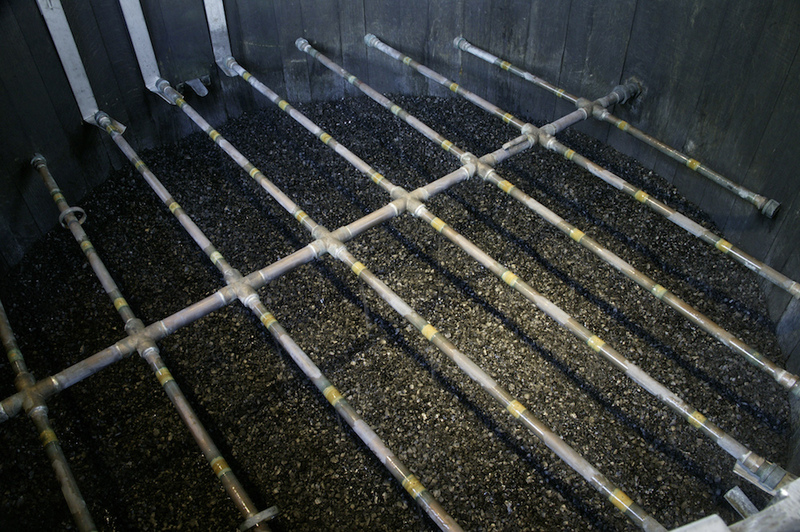 Jack Daniel’s mellowing process drips whiskey into vats that are tightly-packed with 10 feet of charcoal. The whiskey is then aged in toasted white oak barrels. Each barrel is handmade by the distillery. The whiskey is then aged 4-8 years, but the age is never specified on a bottle. Jack Daniel’s distillery has a number of barrelhouses scattered around town, each one holding an average of 20,000 barrels. The whiskey ages differently depending on where the barrel is in the warehouse. Air temperatures can vary by over 20 degrees from bottom to top which allow for the wood to expand depending on the temperature. Every drop of Jack Daniel’s consumed around the world was produced at the distillery, in Lynchburg, Tennessee. Lynchburg is located in a county that has remained dry since prohibition – thus no alcohol can be sold. 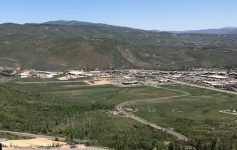 The irony is not lost on anyone that the world’s most popular whiskey distillery is located in a dry county. The distillery operates several different tours, most of which offer samples of the whiskey. The distilled bourbon tasted like a bowl of corn flakes. It didn’t have much flavor other than corn. 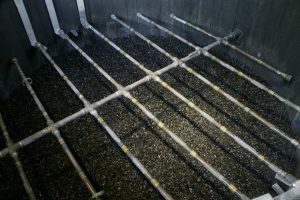 The charcoal mellowing process subdues that corn flavor. The whiskey after mellowing has a much more dynamic flavor profile. I tasted apple, rye, and a subtle corn flavor. That’s literally the only thing the charcoal mellowing does to the whiskey, but it makes a huge difference! Multiple barrels of whiskey are mixed to produce Old No. 7 which gives it a consistent and predictable taste. Single Barrel comes from just one barrel. Two bottles of Single Barrel may taste slightly different if they come from different barrels. The barrel numbers are labeled on the neck of the bottle. How can you taste whiskey in a Dry County? Since I took the tour, that is the most common question I’ve been asked. Of course, the distillery operates completely within the letter of the law. Samples can be given, but not sold, to visitors that are on distillery property, where the whiskey is produced. Also, commemorative bottles can be sold at limited quantities to each visitor. Unfortunately, Miss Mary Bobo’s is closed on Sunday, which was when I visited. 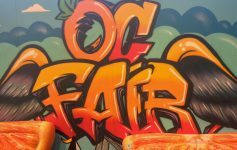 The restaurant’s menu typically varies each day. Miss Mary Bobo’s was gracious enough to cater lunch for us. The meal was a traditional Southern meal so it was very hearty. Our plates were full of fried chicken, mashed potatoes, baked beans, green beans, macaroni & cheese, cornbread, and a beef stew. For dessert, we had peach cobbler with a scoop of vanilla ice cream. It was amazingly delicious. I’ve taken tours of the Jameson distillery and the Guinness Storehouse. I suppose you can say I like learning about how famous beers & spirits are made. Have you taken a brewery or distillery tour that you think I should take? Leave a comment below! I don’t have a bucket list. If I did have one, then I’d certainly be able to cross off “Visit Jack Daniel’s Distillery”. It was a dream of mine to visit. Thank you to everyone involved at TBEX and the distillery for making this happen. Further reading: I recommend this Lonely Planet Guide on Civil War Road Trips. 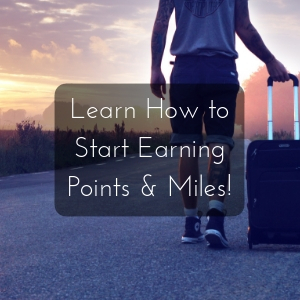 Previous Article Giveaway: $10 Amazon Gift Card! Such cool stories and amazing about the distillery being in a dry county!! Glad they let you have samples. I’d love to do a whisky tour one day. Interesting fact that the water comes from a limestone spring cave. 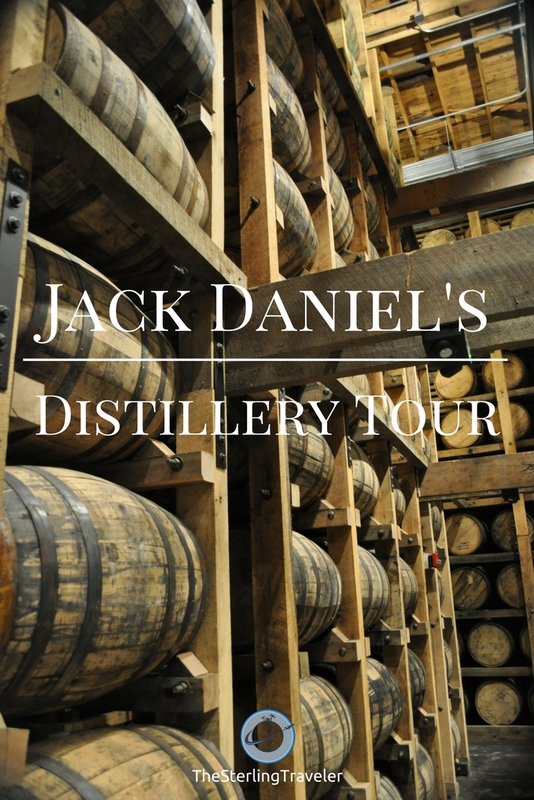 A Jack Daniels Distillery Tour would be interesting and fun to see. So, it looks like free samples are given out, but don’t prepare to buy one. This is definitely on my to-do list. My parents went last year and I must admit I was jealous! Crazy to think it’s in a dry county as well. It was definitely cool. It’s a must even for people who aren’t whiskey drinkers. They give other tours where you don’t get any samples. This is on my husband’s bucket list too. Thanks for sharing! You are very welcome! It was an amazing experience.